A New Anti-Cheat System: "The Game:Ref"
Most of you PC players have most likely had a run in with someone on Steam or Origins who was using game-ruining exploits. I know that I have on several occasions. There is now no need to worry about players using cheats anymore, thanks to the Game:ref. The Game:ref is an upcoming anti-cheat device that is strictly hardware based. How does this high tech contraption work? Well, The Game:ref plugs directly into your PC and compares data with other players. It monitors what is occurring with your devices, whether it be your keyboard, computer-mouse, or even your gaming controller, and compares your movements to those of other players. The Game:ref was developed by a former Counter-Strike:Source professional player, David Titarenco. Titarenco has worked on several notable projects in the past, including the creation of Google Go and the Java Kilim Micro-threading library. Titarenco explained to Polygon that as of now his creation only detects one form of cheating. "Specifically cheats that relate to input methods, whether it's the keyboard or the mouse." Be sure to keep in mind that the Game:ref is only in it's beta stage, so we can expect much more to come off it once the final product is finished. Supposedly the Game:ref distinguishes movements in-game that are not supposed to be occurring (i.e. aimbots). For the most part, Valve's anti-cheat system detects most cheaters, but it's always good to have extra backup. As of now, The Game:ref only detects triggerbots and keypress cheats in Counter Strike:Global Offensive, Dota 2, and League of Legends, and everyone involved in a tournament has to have the hardware connected to their system. Titarenco's device was assembled on the open-source Arduino platform. 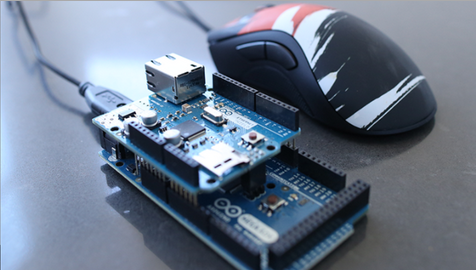 Because of the Game:ref being built around the Arduino platform, it will range anywhere from $50 to $70, which is a very reasonable price for all that is being brought to the table. The average CS:GO player may not the see the significance of the Game:ref, but it is definitely useful for professional players in tournaments. Thanks to the Game:ref competitive gaming can now remain completely free of cheaters. Do you think that the Game:ref is available for a reasonable price? Does anyone here have any intentions to purchase one? Feel free to leave your opinion in the comments, we would love to hear it!